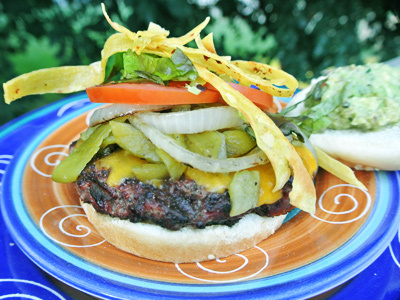 I call this burger the Santa Fe, loaded with cheese, green chile, grilled onions, tortilla strips and guacamole. Red Robin used to offer a similar burger that had pepper jack cheese and a whole roasted poblano. It was my favorite thing on the menu and when they discontinued it I was determined to make my own version. I love big burgers with layers of flavor in every bite. I think I’ve found it in this burger! It also reminds me of New Mexico where you will find the best green chile and cheese burgers on earth! My favorite food holiday by far is Cinco de Mayo! 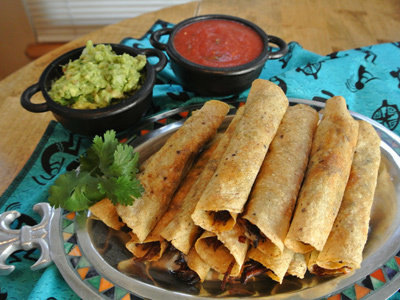 This holiday celebrates the Mexican culture and heritage with festivals and parades but mostly with great Mexican food. While I don’t need an excuse to eat Mexican, I always look forward to making something special to celebrate the day. I’m making quesadillas filled with marinated steak, thin sliced potatoes and poblano chiles. It’s Muy Bueno! 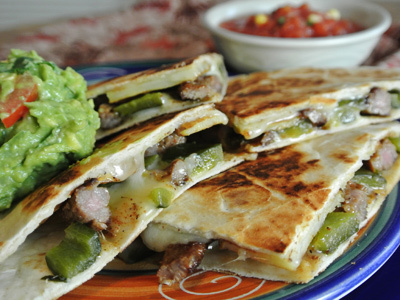 Paired with guacamole and salsa makes this quesadilla a party for your taste buds! Happy Cinco de Mayo all! 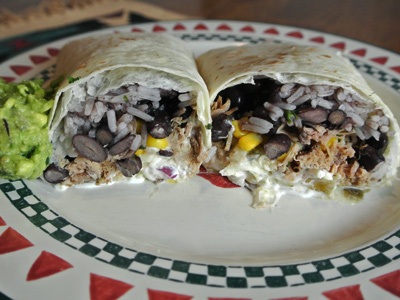 Chipotle Mexican Grill makes the biggest and most flavor filled burritos around. They are a company that embraces buying local from farmers that grow organic produce and raise animals in a humane way free from all the hormones that factory farms use. I appreciate that but what keeps me going back is how good their food is. They assemble their burritos in front of you with every topping in sight. Choosing what you put in that burrito is half the fun. While I may not be able to duplicate the Chipotle burrito exactly, I think my version is pretty darn good. I took a day to make all my fillers and toppings, enough to make 16 large burritos. We ate our fill, then wrapped the rest in aluminum foil to freeze.